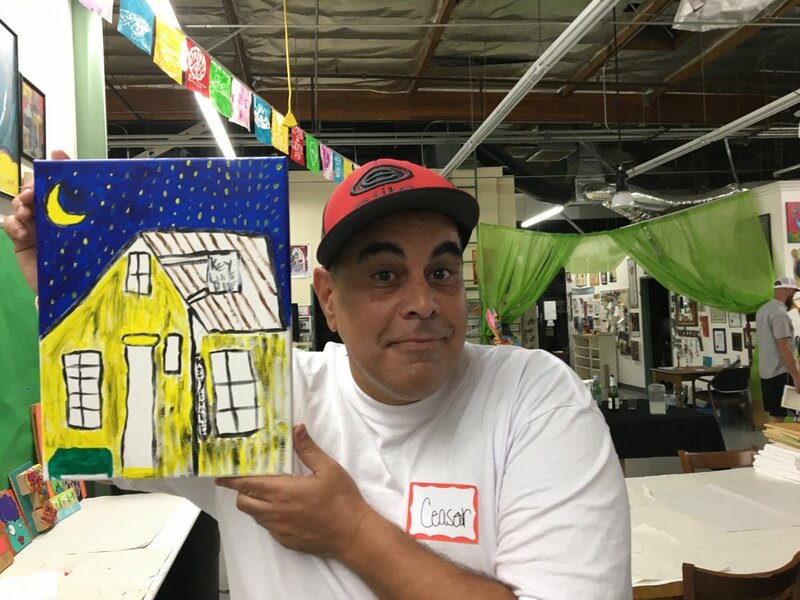 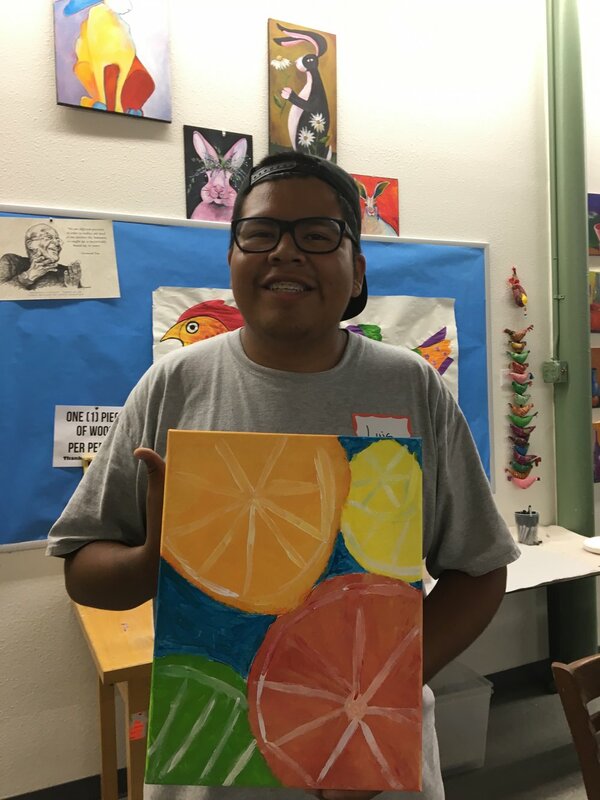 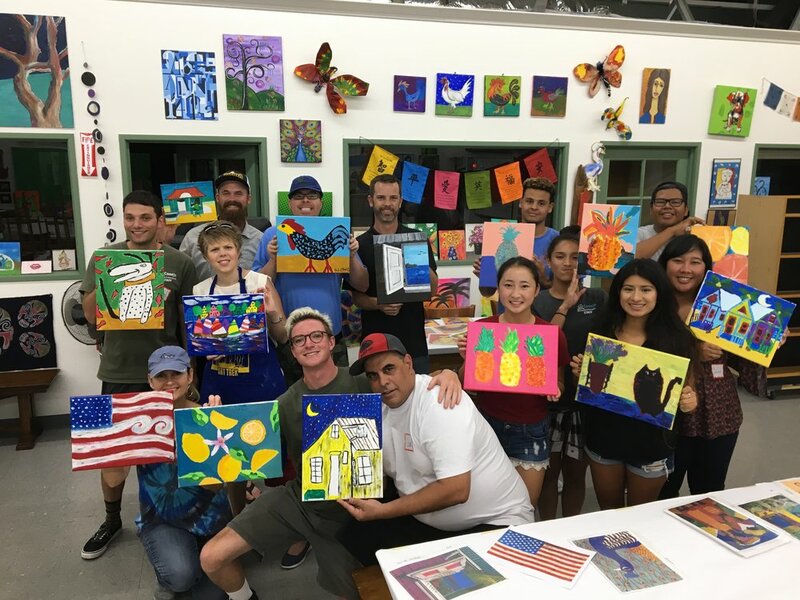 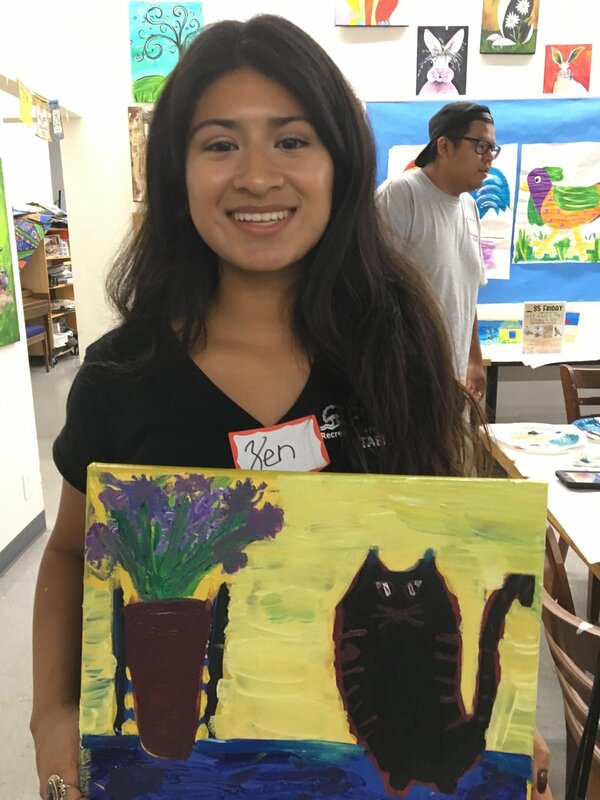 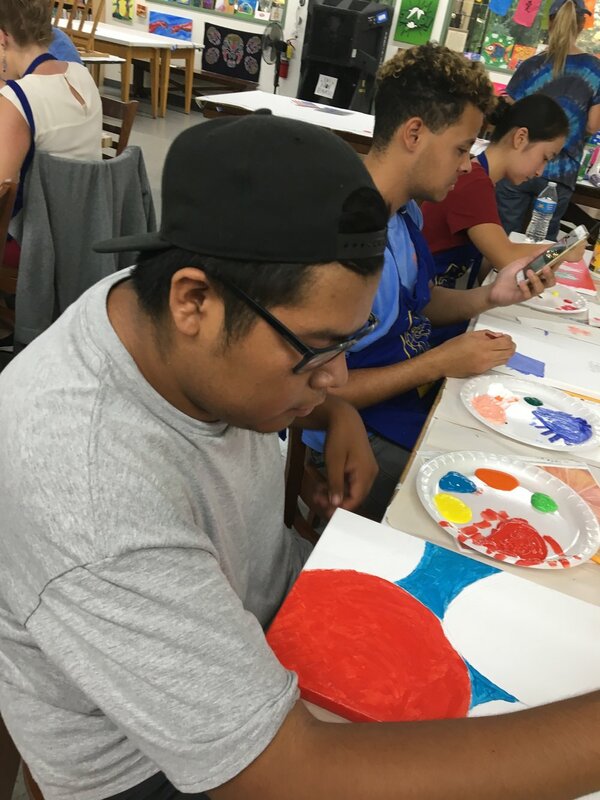 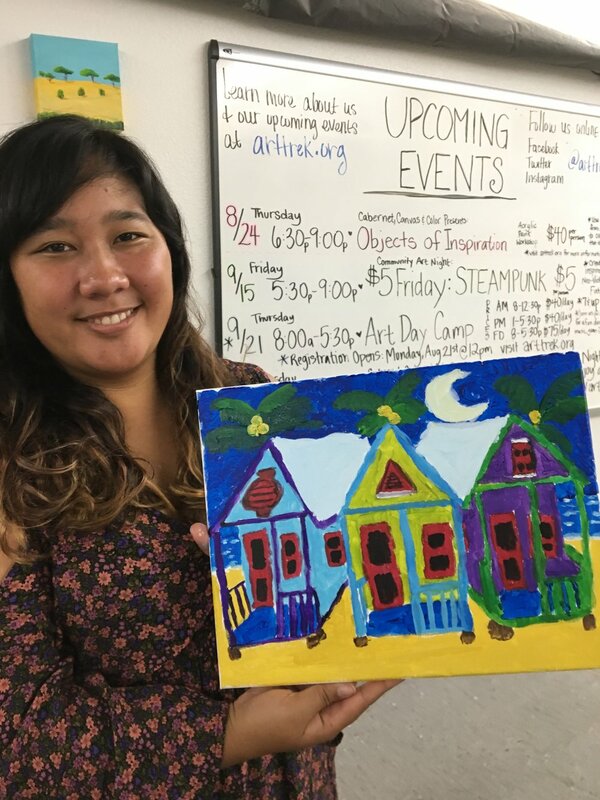 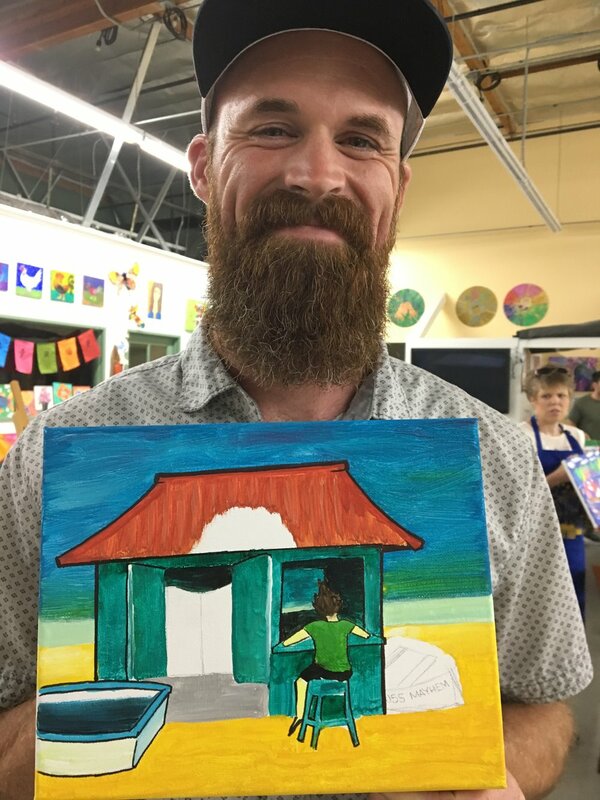 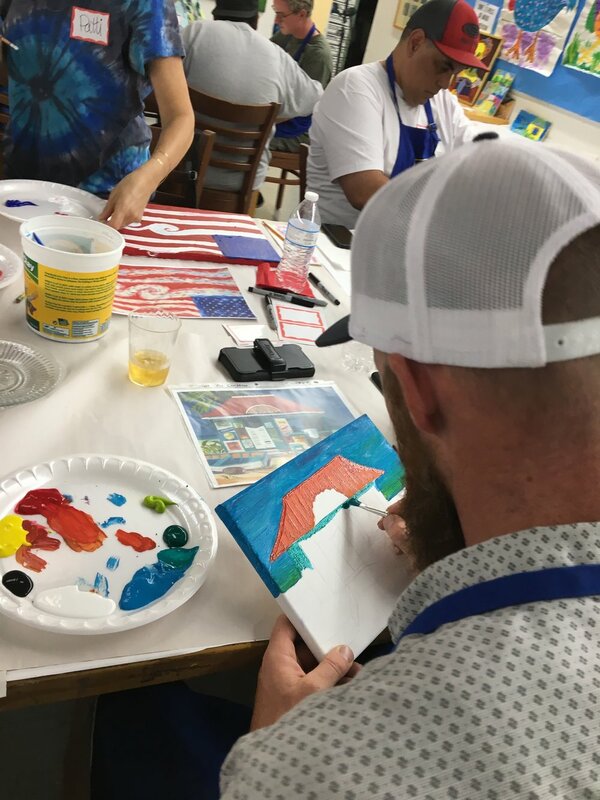 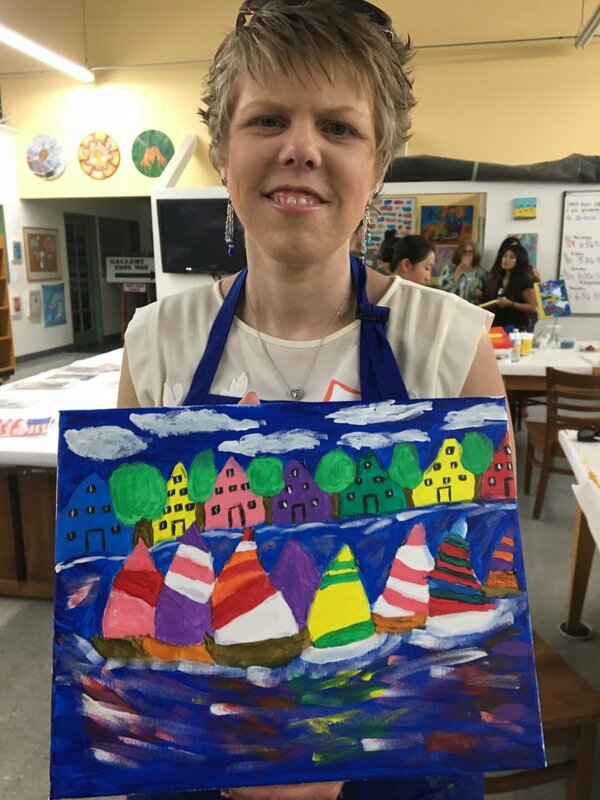 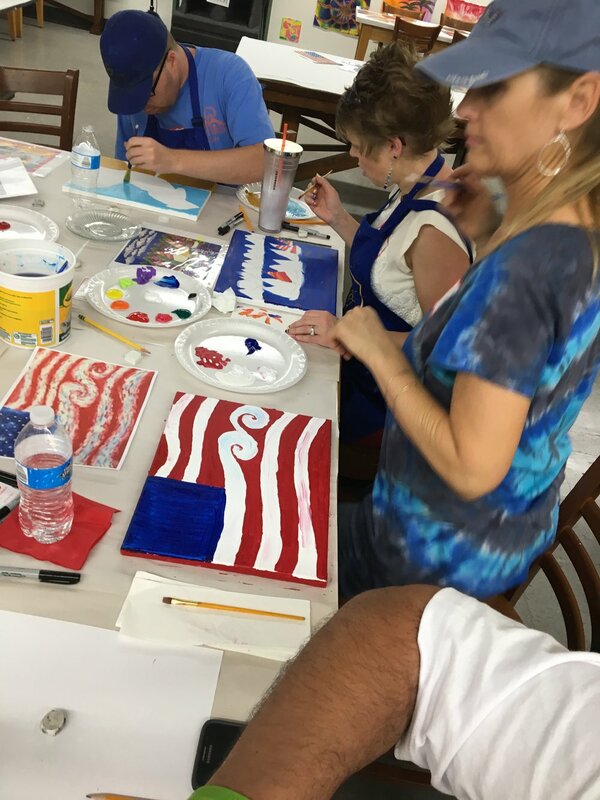 Flashback to the beginning of the week: Staff members from the Borchard Community Center joined together at our studio this past Monday night for an evening of creativity and fun! 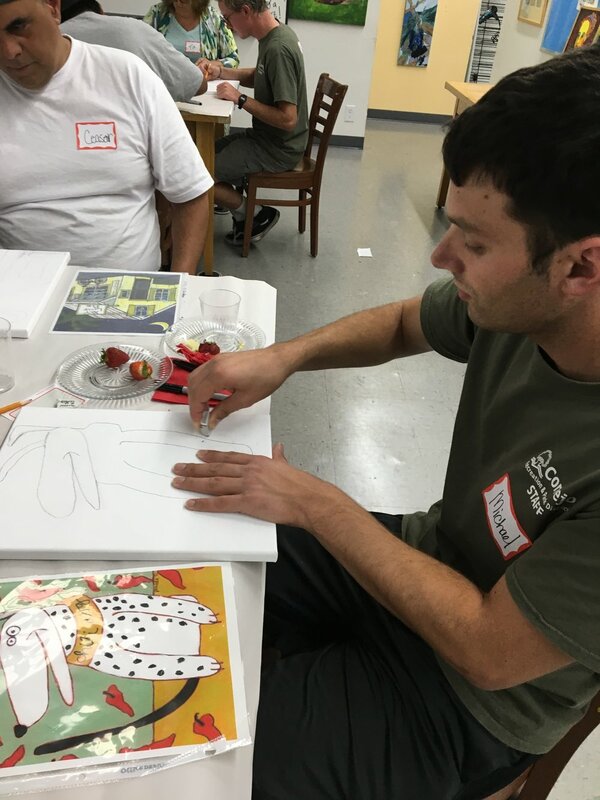 The group started with a warm-up where they drew each others portraits blindly while they used a continuous line. 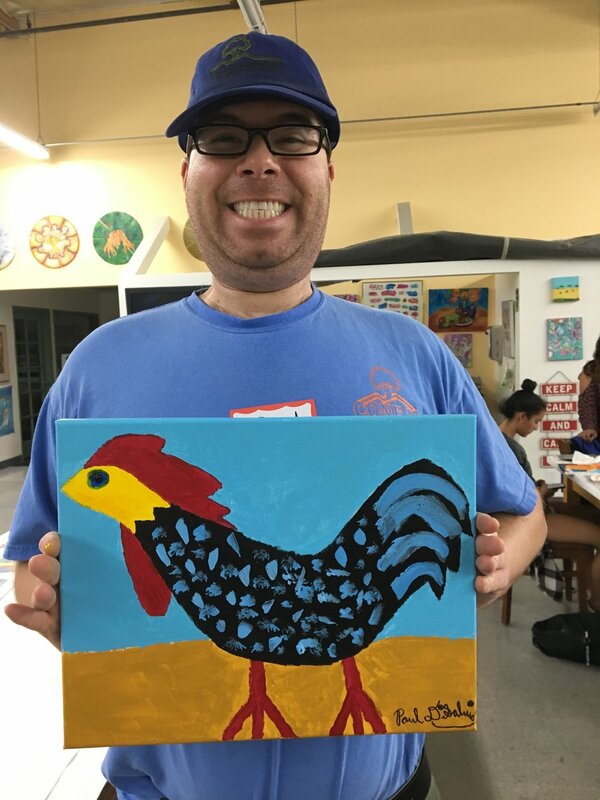 A fun and slightly challenging lesson to get everyone going! 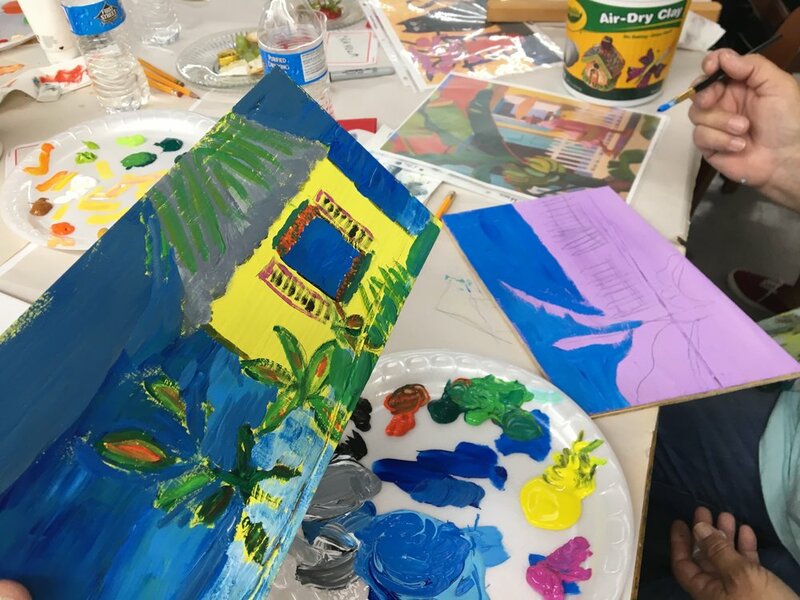 And for the main project attendees looked through various imagery and at different art pieces in our studio for inspiration! 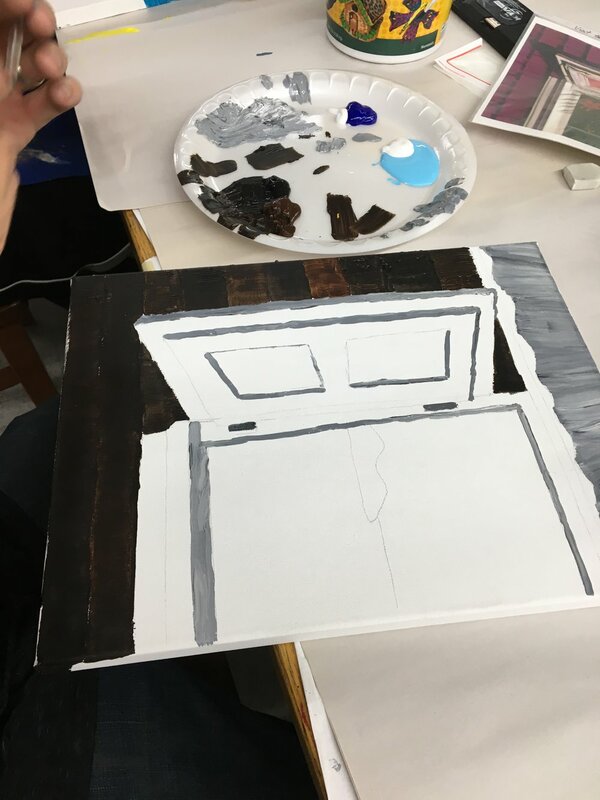 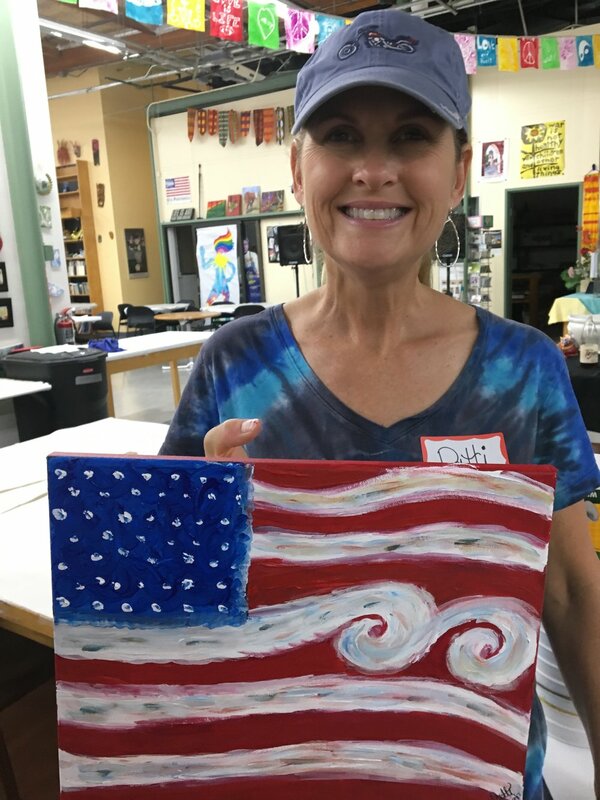 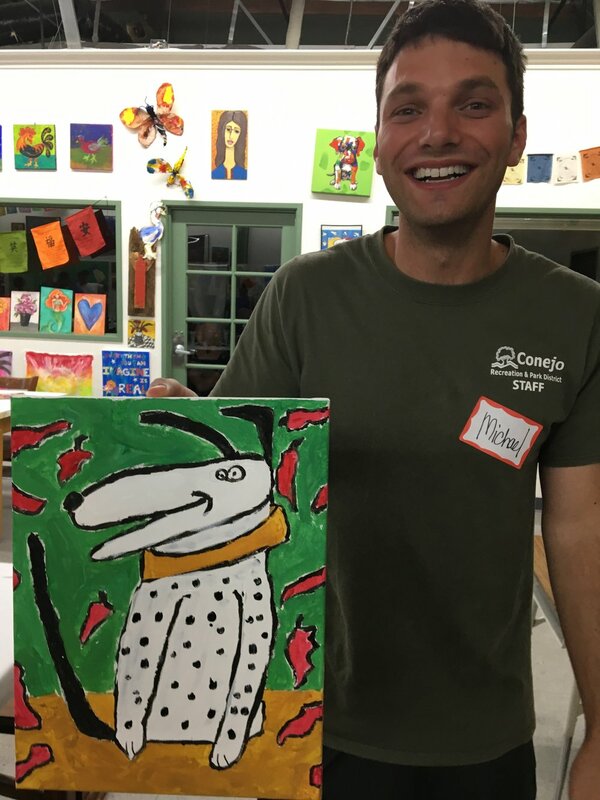 Posted on September 1, 2017 by Cordelia Miller and tagged Art Trek Conejo Recreation and Park District Corporate Workshop corporate event evening workshop painting on wood blind contour line drawing.